IMPROVING THE SAFETY OF FOOD WORLDWIDE. The future of the food system is critical to the long-term well-being of Africa and its people, and for the global food system to be a successful provider, the food must be safe. Yet, Africa has the world’s highest per capita incidence of foodborne illness, claiming 137,000 lives a year and causing 91 million cases of sickness, according to the World Health Organization. The heaviest burden falls on children under the age of five. A new report by the Global Food Safety Partnership analyses donor investment in more than 500 projects undertaken in sub-Saharan Africa since 2010 to make important recommendations for providing safe food for Africans. The central message is clear: it is time for greater investment and a strategic, risk-based approach that targets the health of African consumers, and harnesses consumer awareness and market forces to drive progress on food safety. Food safety is the next frontier of food and nutrition security in sub-Saharan Africa. 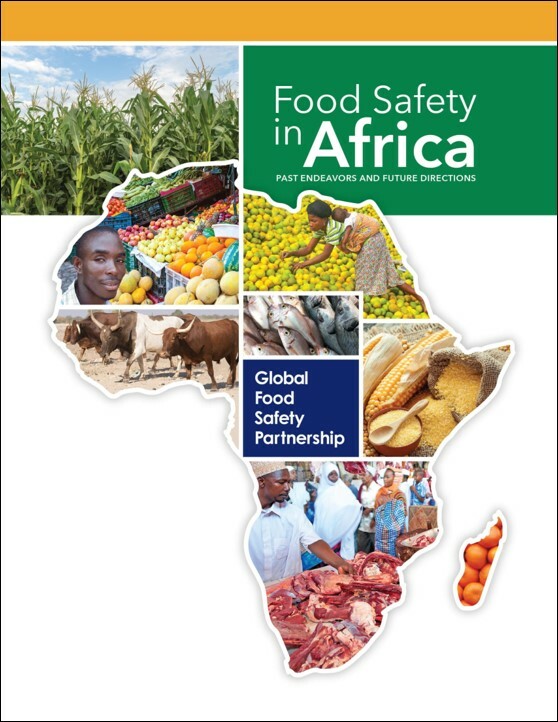 The Global Food Safety Partnership report, Food Safety in Africa: Past Endeavors and Future Directions, is the first-ever analysis of investment in food safety in sub-Saharan Africa. The report will be useful for African governments, donors, development partners and the private sector in their quest to improve food safety and reduce the public health burden of unsafe food. The report will be available on the GFSP website at the launch of the report. Stay tuned for more details about the report and its launch. GFSP's new initiative to map food safety capacity building in sub-Saharan Africa to help improve targeting and coordination is discussed in detail in a new blog authored by GFSP consultant Michael Taylor. This content was originally posted on the Global Food Safety Initiative blog. On May 24, 2017, GFSP CEO Lystra N. Antoine joined food safety colleagues in Brussels to discuss the vastly underestimated burden of foodborne disease in low and middle-Income Countries and its likely causes. The discussion was convened by the International Food Policy Research Institute (IFPRI) and the London School of Hygiene and Tropical Medicine. New Delhi (17, May 2017) — Decision-makers and leading influencers from the public and private sectors across South Asia have signalled their intent to support increased investments in food safety, as part of a high-level dialogue convened by the Global Food Safety Partnership (GFSP) in collaboration with the Food Safety and Standards Authority of India (FSSAI). Matt Kovac, Executive Director of Food Industry Asia (FIA) and a GFSP Governing Council Member, presented the GFSP at the APEC Food Safety Cooperation Forum (FSCF) and the Partnership Training Institute Network (PTIN) in Hanoi, Vietnam, on May 12 and 13, 2017. A delegation of Indian government officials led by Dr. Narayan Bhaskar from the Food Safety and Standards Authority of India (FSSAI) with representation from the Export Inspection Council (EIC) and the Central Institute of Fisheries Technology (CIFT) were in Canada on April 18-19, 2017 at the invitation of the Canadian Food Inspection Agency (CFIA) to visit CFIA headquarters and CFIA laboratories to discuss and exchange information regarding laboratory management and operation of a national laboratory network. The United Nations Industrial Development Organization (UNIDO), a member of the GFSP Governing Council, is supporting the Republic of the Union of Myanmar to upgrade its National Quality Infrastructure (NQI), which will help to increase export competitiveness, stimulate trade and export-led growth, and foster the development of value-added food products and the diversification of export market opportunities. Victoria Kwakwa, Vice President, World Bank, East Asia & the Pacific, delivered the welcome address at GFSP's December 2016 dialogue in Singapore "Building Trust and Capacity for Safe Food in Asia" held in collaboration with Food Industry Asia (FIA). We spoke with her to discuss her thoughts about food safety challenges and opportunities in the region. Stay connected to the GFSP!